Jesus, Day by Day will bring renewed life to your devotional time as you learn to recognize God's plan of love, mercy, and grace woven through every page of Scripture. 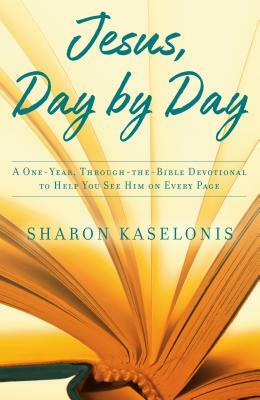 SHARON KASELONIS is an attorney, homeschool mom, writer, speaker, and educator whose passion is to inspire believers worldwide to read, know, and study the Bible for themselves. Previously, she practiced law in the Washington, DC, area, before serving as the director of women's ministry at a large church in Jacksonville, Oregon. Sharon and her husband, Ray, live in Scottsdale, Arizona, with their two children.